We already know that generic blast emails, or those that you send to your entire database, are actively hurting your ability to communicate with your guests. Fortunately, targeted email campaigns, or those sent to a specific audience of a segmented email list, fare much better. According to recent research from MailChimp found that targeted email campaigns have, on average, significantly higher open and click rates—and significantly lower bounce, abuse, and unsubscribe rates—than generic blast emails. The report was based on data from 11,000 segmented campaigns sent by 2,000 MailChimp customers to nearly 9 million recipients. The researchers compared the performance of each brand’s segmented campaigns with the performance of that same brand’s generic campaigns. Targeted email campaigns have higher average open rates (+14%), unique open rates (+11%), and click rates (+101%) than generic campaigns sent by the same brands, the analysis found. Campaigns that are targeted to specific segments of customers also have lower average bounce rates (-5%), abuse report rates (-4%), and unsubscribe rates (-9%) than those that are not targeted. Segmentation by merge field (e.g., customer type, ZIP code, job title) is the most popular type of email list parsing by MailChimp customers. Click rates for campaigns sent to lists segmented by merge field are significantly higher (+55%) than click rates for generic blast campaigns sent by the same brands. Email campaigns sent to lists that are segmented by interest (e.g., a grouping a consumer self-selects, such as favorite music genre), also have significantly higher click rates (+75%) than email campaigns sent to lists that are not segmented. Email campaigns targeted to lists that are segmented by subscriber activity (e.g., the most-engaged or least-engaged members of a list) have lower average bounce rates (-9%) than generic blast campaigns, but they have higher average abuse report (+10%) and unsubscribe (+5%) rates. While this report represents marketing data across industries and is not specific to hospitality, there are some key takeaways here for hotel marketing practitioners. First, you should stop sending generic blast emails and start experimenting with targeted emails immediately. One practice that we’ve seen work well includes segmenting your list into guests who previously booked direct versus guests who previously booked through an OTA (Here’s an example of a campaign that did this and made a bunch of direct booking money in the process). Another way a hotel can segment its email database? Send targeted emails to guests who previously came as a couple, and those who came as a family. Families and couples have such different needs that it makes a lot of sense to send different messaging to those groups. 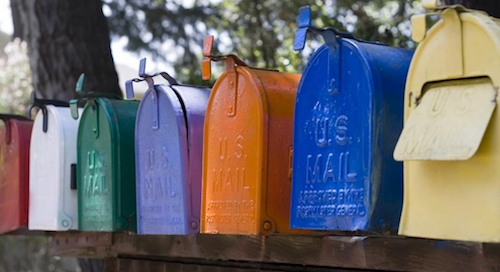 In any case, if you’re not segmenting your email database, you should start doing so today. The great thing is, email marketing is an easy thing with which to experiment – there are so many new things to try, and it doesn’t hurt to experiment a little bit. So, what are you waiting for?